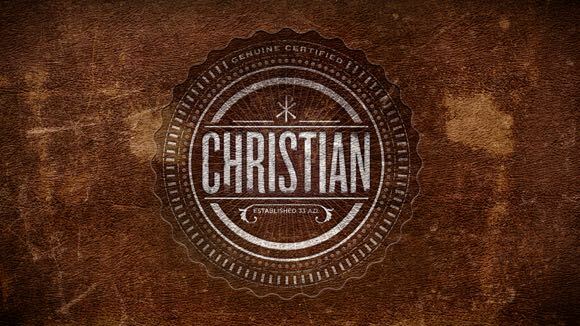 We all have heard the word “Christian” at least once in our lives, but what exactly do we mean by that. For some Christians are people, who have Christianity as their religion. Some people think Christians can’t watch movies or have a good time or even have a beer with friends occasionally. If you are a person, who has been thinking that Christianity is about following a set of rules and regulations you are wrong. Christianity is not a religion; it is the relationship we have with Christ. The Bible talks about laws and regulations in the Old Testament, but those were given to the people so that it will change people from the inside and become closer to God. When you have a strong relationship with God your heart turns, and you change from within, and that will urge you to do what is right, and you will no longer have to be controlled by any law. In the New Testament, we talk about how God himself had to come to the earth as a man to die for all our sins. The wages of sin is death but as God so love the world that he begot his only son to die for all the sins of man so that we can be saved. Life is not the same after Jesus the son of God took upon all our sins and died on the cross. Old Testament in the bible is the period before Jesus came into the world to die for all our sins. All of us live in the New Testament, and thus we are changed from within when we know the Gospel of Christ. When we understand that gospel, we change from within, and that is when you call yourself a born-again Christian. Born again does not mean that you have to literally be born again cause that does not make any sense as you are born only once. It means that you are washed by the blood of Christ where your sins are cleansed. When you accept Jesus as your saviour, you become a new creation, and that’s when you get born again in Christ. The term Christian confuses many people and many people who call themselves Christians also don’t really know what it means to be a Christian. Just because they are born in a Christian family or happen to follow the religion blindly, it does not make them a Christian or “Christ-like”. We, humans, are filled with sins, and when Christ died on that cross his blood covers our sins so that we can have a direct contact with God himself; this is why you don’t have to go behind any pastors or priests or the best churches in the world to talk to God. You are the temple of God, and you can talk to God whenever you want, wherever you want, and that is the fellowship we need to have in Christ. Copyright © 2018 trumpetstudio.ca. All rights reserved.